We are so pleased that you are interested in learning more about our lively little church community in the bustling Royal Borough of Greenwich. Most churches say, ‘Everyone is welcome’, only to discover there is a ‘but’. We say, ‘Individuals, families and households of all shapes and sizes are welcome’, and we mean it. Jesus never turned anyone away and neither will we. We aren’t perfect but we are trying to live our lives as Jesus would want us to. That means welcoming all, regardless of their gender or sexual orientation. We hope that we will show you the love and care of an inclusive Christian community. Our services are open to everyone and we are a diverse group of Christians seeking to understand the will of God for our lives. We truly welcome individuals, households and families of all shapes and sizes. 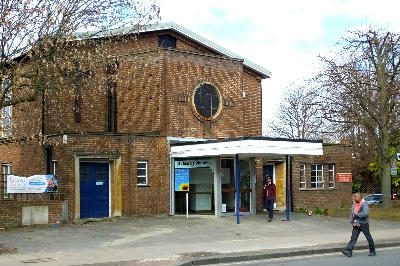 St. Mark’s United Church, Greenwich, is a United Reformed-Methodist congregation, an example of two Christian traditions worshipping and working together. We are people from many places and backgrounds. St. Mark’s has historical connections to congregations which have been serving West and East Greenwich since the 18th century. We have a long history and over the years many people have found a spiritual home with us. You are very welcome to join us any Sunday at 11 a.m.